That's right, friends... "Hunter Revenge" by Hunter Revenge is now available on iTunes for your downloading pleasure. Notice the competitive price when you buy the entire album! (only $7.92!) Check it out in your iTunes store today! If you already own a copy of these songs, feel free to write a review. 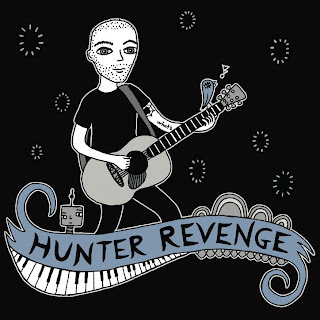 Let the world know that you love Hunter Revenge more than any other band that you can think of right now. P.S. Tomorrow is my birthday. P.P.S. For those of you who are sans iPod or hate iTunes or live in a remote part of the world where you can only use Lala, here are other fine online music stores where you can download Hunter Revenge: Rhapsody, Napster, eMusic, GroupieTunes, Amazon MP3 and of course, Lala.